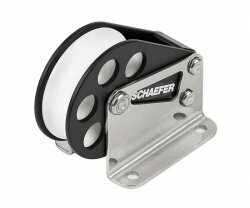 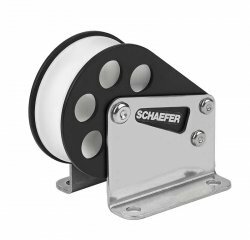 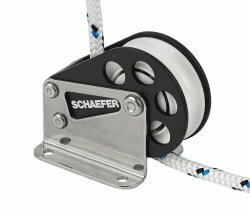 Halyard/Control lead Blocks : Schaefer Marine, Inc.
Schaefer offers several ways to bring your halyards and control lines back to the cockpit. 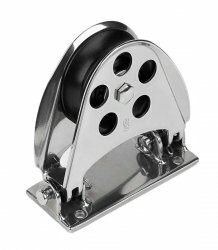 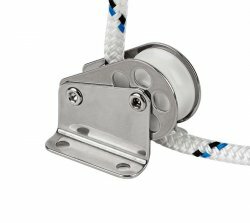 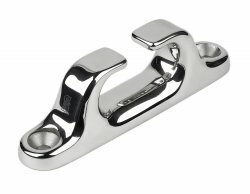 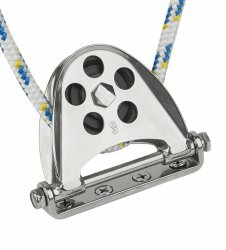 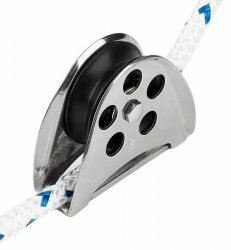 Our Halyard lead blocks feature our M-Series design with aluminum sheaves for a strong yet light lead. 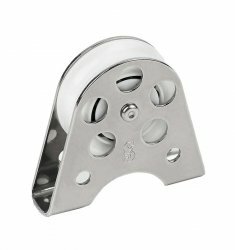 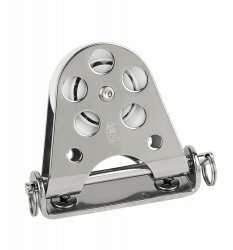 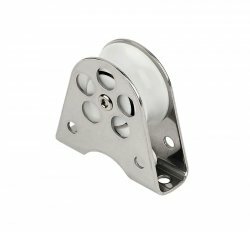 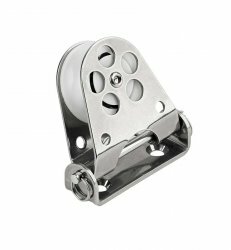 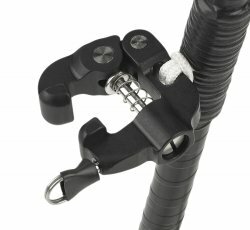 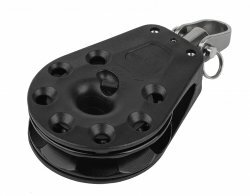 Fixed and hinged lead blocks feature delrin(tm) ball bearing sheaves with stainless steel cheeks for a strong yet smooth lead. 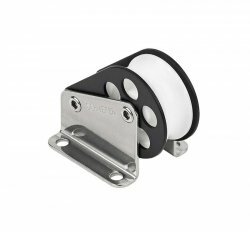 Half-Moon mast base blocks feature aluminum sheaves running on nomex(tm)/Teflon(tm) bearings for smooth running and exceptional static load strength. 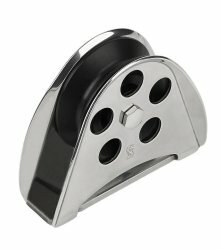 As always, consult us with any questions. 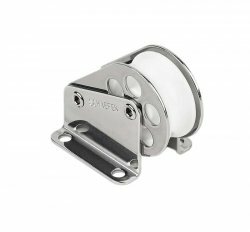 60-51 7-1/2" Stainless Steel chock for lines up to 3/4"